Yesterday I went hiking in New Hampshire with a couple of friends. It was a great time with perfect weather! 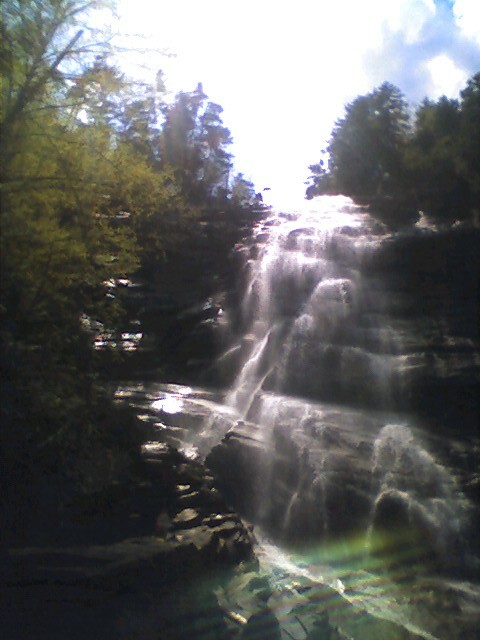 One of the places we went was Arethusa Falls. It's this 200 foot high waterfall pictured above. We also took a gondola to the top of Wildcat Mountain where there were still some patches of snow - just enough to go sledding on our butts! Sliding in the snow in 80 degree weather - what fun!